Take a look at this... an issue chock full of reviews. We had more, but we decided we had to save some stuff for next month. Starting with anime releases, we've got an overview of the Sekai no Monshou series (also known as Crest of the Stars) and the next volume of NieA_7. 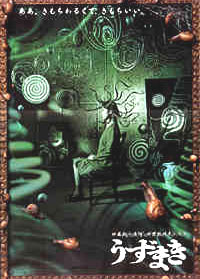 From there, were move right into live action with two features that shouldn't be missed, Uzumaki and Seven Samurai. Then we have some manga and a ton of video games and even Animefringe's take on one of the staples of the Japanese confectionary industry... Pocky. Mmm hmm, good. A young boy from a planet on the edge of the known universe meeting the princess of the proud race of Abh. A sinister plot to over throw the Abh race. An adventure across the stars. 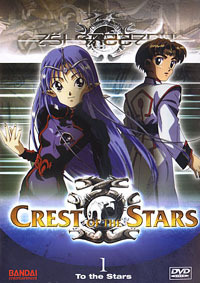 All come together in Crest of the Stars, an interesting sci-fi adventure inspired by a famous novel by author Hiroyuki Morioka. Remember in Back to the Future Part 2 when Marty goes into the café and plays that shooting game? There were some kids that were shocked that he had to use his hands. Imagine if kids actually thought differently and video games actually went through phases where games of old were actually popular again. You might be wondering how this relates to NieA under Seven. Well, there's this funny episode about young kids fighting against adults at school video games. Sorry, no beating allowed. A small Japanese mountain town is cursed by spirals. 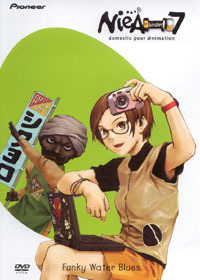 As her friends and family start dying and going mad under the effects of the Spiral, a high school girl named Kirie tries to uncover its secret. A poor farming village hires seven ronin to fight off hordes of bandits. But who are the real losers in 16th century Japan's caste system? Find out in one of the greatest films in cinema history and a masterpiece by the celebrated Akira Kurosawa... 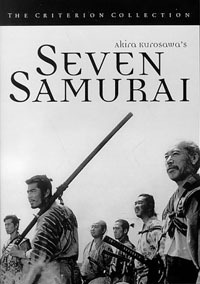 Seven Samurai. It's time to let those smooth rythms fly by because two of the flagship titles in Konami's aging Bemani line get upgrades. 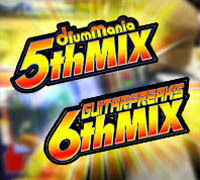 GuitarFreaks 6th Mix and DrumMania 5th Mix are back in the arcades featuring new modes and songs. How long can you go before your hand cramps up? Left, down, up, right, right, right. 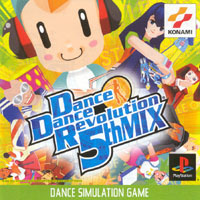 The steps become second nature after a while, and it's nice to have the chance to put them to good use with the latest installment in the unforgettable Dance Dance Revolution video games. 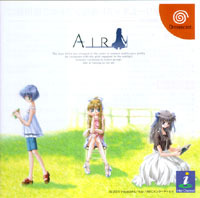 Sure, the series may be slowly running out of steam, but true Bemani fans will allow nothing to come between them and the latest chance to stay cool... well, except for maybe region lock-out. A fateful journey to rescue a girl trapped by her own heart. Three girls living in a small seaport town, each haunted by their own bitter past. A young man with a special gift. All come together in a romance adventure with a deep storyline that surpasses all others. For the longest time, online gaming has been dominated by people with personal computers. The notion of truly being able to go head to head against other people from around the world on a home console was just a pipe dream before the Dreamcast came along. 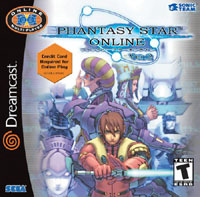 Games like Chu Chu Rocket started what would soon lead to one of the most addictive and time-consuming console RPGs... Phantasy Star Online. Now the game has gotten a few upgrades and goes well beyond what the first installment had to offer. Sadly, it's too late for the Dreamcast. 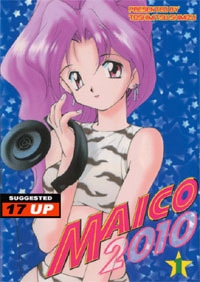 Otaku may argue about subs and dubs, Sailor Moon or Dragon Ball, this and that... But one thing just about everyone can agree on is Pocky, 'The Super Snack' and unofficial food of the Otaku nation. So what's our take on the ubiquitous frosted cookie sticks in a box? Read on to find out!